Irvine is a suburban city in Orange County, California, United States. It is a planned city, mainly developed by the Irvine Company since the 1960’s. Formally incorporated on December 28, 1971, the 66 square miles city has a population of 212,375 as of the 2010 census; in 2013 the city’s population was estimated to be 242,651. It has annexed the former El Toro Marine Corps Air Station, most of which is planned to be converted into the Orange County Great Park. The city’s mission statement is “to create and maintain a community where people can live, work, and play in an environment that is safe, vibrant, and aesthetically pleasing”. 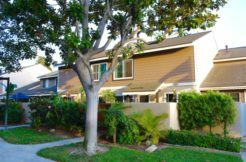 Because Irvine is home to highly-rated public schools, a large number of jobs requiring a skilled workforce, and residential housing, Irvine was chosen in 2008 by CNNMoney.com as the fourth best place to live in the United States. In 2012, it was ranked sixth nationally. In September 2011, Businessweek listed Irvine as the fifth best city in the United States. Irvine consistently ranks as the safest city in America with a population over 100,000.